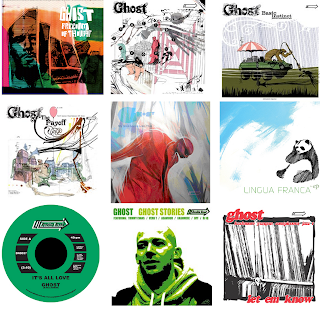 Despite his New Zealand heritage, Ghost has been a UK hip hop mainstay for longer than most can remember. Having ventured left with experimental electronic leanings more recently, he's now back with his bread and butter of straight-up hip hop. Check his new beat showcase below. If you're a serious artist and want to get in touch, hit Ghost up at musicbyghost [at] gmail.com. And if for some reason you're not familiar with this man's work already, do some homework.